The Recognized Leader in Using Behavioral Technology to Improve Performance. Every organization is unique with different risks, budgets, structures, and employees. Quality Safety Edge will work with you to create customized solutions that fit your unique needs. We work collaboratively with our clients across the globe to customize solutions around your management style, your company culture, and your unique goals. This book presents a model showing you how to systematically identify and execute the steps needed to make your operations incident-free. 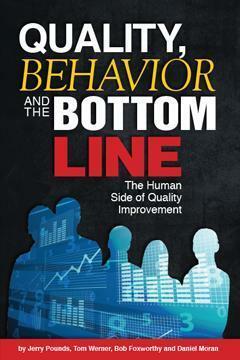 This book is a must-read for anyone who has implemented a quality improvement initiative but has not achieved or sustained the desired results. The Most Comprehensive Observation Training Series Ever Developed. It’s simple, straightforward delivery is easy to understand and simple to follow. By tracking observation frequency, participation, training progress, and behavior trends you can take early action to solve problems, encourage participation, and ensure the health of your process. Sign up to have articles, videos and event notices delivered to your inbox! "We think it is a great tool because it brings ownership for the safety process to the shop floor; once you get that you start seeing changes in the workforce." "During the past nine years our Values-Based Safety Process has taken us so much further than safety; it’s also strengthened our communications, trust and professional relationships, unit to unit and between departments." "We are very pleased with our Values-Based Safety Process; the training was excellent and our employees are demonstrating leadership. I can’t say enough about QSE’s diligent follow-up." "We chose Quality Safety Edge because we spent time with their team at their Behavioral Safety Now conference and were impressed with their experience and expertise. QSE helped us design and implement a Behavior-Based Safety process tailored to our particular, challenging environment (nuclear generation). They worked closely with our Design Team, Steering Committee, facilitators, and leaders to transmit their expertise to us so that we could launch, maintain, and grow our BBS process. Our first BBS implementation was so successful in reducing safety incidents that we returned to QSE to help us implement BBS at our other two nuclear sites and our support laboratory. 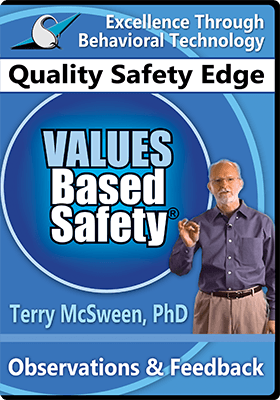 We highly recommend using Quality Safety Edge to ensure an effective implementation of Behavior-Based Safety." “Our manufacturing facilities had not been successful in delivering an annual recordable rate goal of 2.0 or less. Data showed that 48% of incidents were identified as unsafe behaviors. We needed a systematic approach to empowered our employees to feel responsible for their safety. We worked with QSE and adopted their VBS program. QSE is easy to work with and ensure a successful design and implementation of the program. YTD, we have a 51% reduction in recordable incidents. 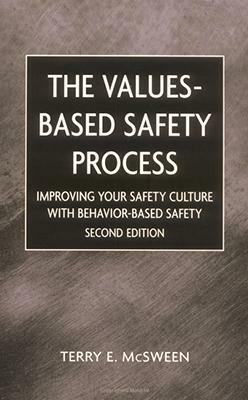 I would recommend VBS to companies that have a strong desire to improve their safety program."